Mr Luo Yuguan, along with millions of other people all around the globe, celebrated Chinese New Year last weekend. In China, the jamboree thrown by the China Cultural Centre in Tokyo featured ethnic Tibetan singers, Tsingtao beer and an exhibition featuring paintings with Buddhist themes. The air was infused with high spirits as the festival geared up for another annual display of Chinese exceptionalism. China is not one to follow in line with Western ideas about democracy. Indeed, President Xi Jinping rose to remind his American counterpart, Donald Trump, of China’s history as the world’s oldest civilisation. The rhetoric of national pride and identity has helped China forge its own development, its own unique path that in many ways does not align with the West. Yet, with a slowdown in growth, fears of trade wars and a growing pessimism amongst many ordinary Chinese citizens, it is interesting to see how this culture can maintain its exceptional status. It is unclear when exactly the celebration of the New Year began in China. But it is a time that honours Emperor Wu of the Han Dynasty (which lasted from 206 BC – 220 AD), who initiated the solar base calendar used to measure a period of one year. 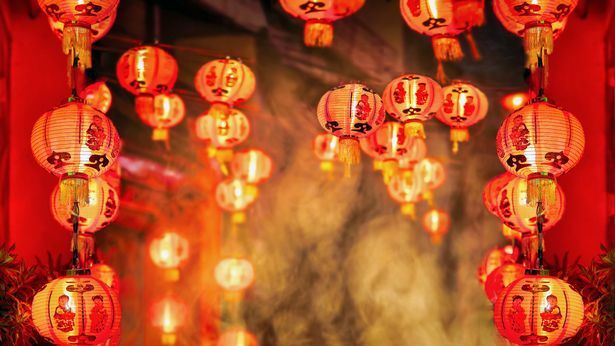 Accordingly, it is this traditional Chinese calendar that is celebrated to this day: With millions celebrating the year of the earth pig, it is important to note the difference in celebrations within China and the rest of the world. Chinese families tend to gather in the evenings for an annual reunion dinner. It is also traditional to clean the house thoroughly in order to symbolically start the new year afresh. Moreover, many families will decorate their windows and doors with red paper cut-outs, light firecrackers and give out money in red paper envelopes. Many factories, businesses, banks, and schools also close during the build-up to New Year. Even after the festival ends, it can take a while before the economy returns to its normal capacity. As people prepare to go home for the holidays, Chinese New Year is seen as one of the year’s biggest shopping seasons. However, the economic slump continued, with sales in the retail and food-and-drink industries only growing by 8.5% to 1.005 trillion yuan ($149 billion) over the week-long holiday. 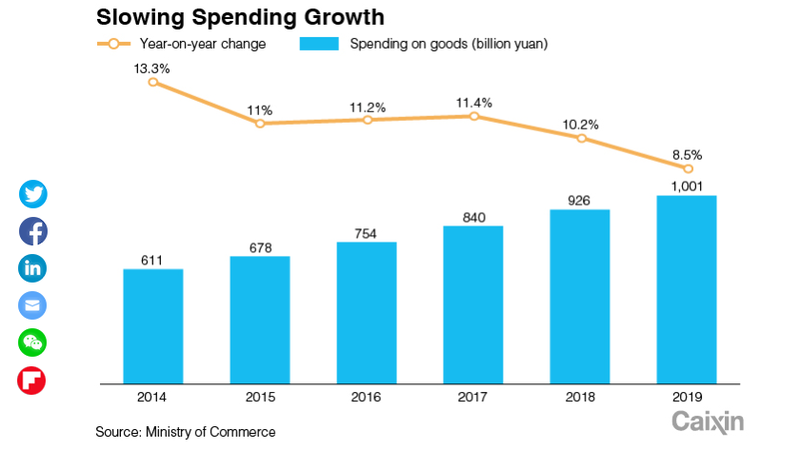 This reflects the issues within China’s economy: according to the Ministry of Commerce, this was down 1.7 percentage points from 2018. Not only this, it was also the lowest growth rate in the data going back to 2005. A table depicting spending growth in China. Despite an apparent falter within the domestic economy, a staggering 7 million Chinese citizens have been reported to be travelling overseas during the holiday period. The amount spent abroad has not been accounted for by the Commerce Ministry’s report but given the nature of luxury taxes on Chinese goods, designer handbags, watches, and accessories tend to be at least 30% cheaper in Europe. Figures from forward flight booking data suggest that there was a 24% increase in bookings from China to the UK from 30th January to 12th February – this supersedes figures from last year. Celebrations of the New Year attract many visitors to the UK, with parades and performances in Birmingham, Leeds, London and even as far across as Edinburgh. Visitors from China account for the highest spending visitors in the UK, with an average of £2059 spent in a single visit. Therefore, it is no surprise that various parts of the UK host extravagant fairs to help facilitate the demand of the culture. With the economy not growing as fast as many would like, China has an opportunity to expand its international cultural influence instead. Over the last decade, China’s Minister of Culture has invested in Confucius institutes that offer mainly Chinese language classes, with more than 500 universities around the world partnering in the scheme. Western scholars and politicians have argued that these schemes have worsened rather than aided China’s image with issues concerning suppression of free speech and spreading Communist party propaganda. Indeed, in 2014, the American Association of University Professors expressed a grave concern and urged that Confucius institutes be shut down. Certainly then, under the guise of Chinese New Year, we can project a more inclusive, positive perception of Chinese culture. This image is important, especially considering the fragility of trade wars between the US and China. A global image of support and solidarity will likely help China fare better internationally; nevertheless, more is needed ahead of trade talks on Thursday. Simron Gill is a third-year PPE student and co-editor of Politics & Economics for Warwick Globalist.